The Neebo infant wearable is a beautifully designed egg-shaped wristlet for baby. It is the only penny-sized device that’s small enough to be placed over a newborn’s wrist. 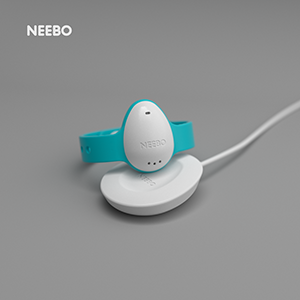 Neebo provides the most accurate infant data stream on the market and monitors baby’s heart rate, oxygen saturation, thermal state, and audio environment, and provides a smart alarm system, alerting parents whenever necessary. The Neebo is powered by Monarch SiP. The Polymer Logistics Smart IoT Tracker is designed for the tracking and monitoring of assets and is tailored specifically to fit onto Polymer Logistics’ CleanPal pallets. 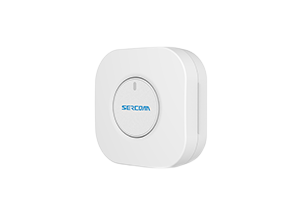 In addition to the LTE-M connectivity provided by Sequans’ Monarch platform, the device includes a temperature sensor, an accelerometer, and network-based geolocation. The Smart IoT Tracker fits securely between the standard slats of a pallet without any overhang so that forklifts cannot damage it. It uses standard AA batteries, eliminating the fire risk of lithium ion batteries. The Smart IoT Tracker is in an IP66 enclosure, making it safe from extreme weather conditions, powerful seas, or jets of water. It does not have to be removed from pallets prior to washing. 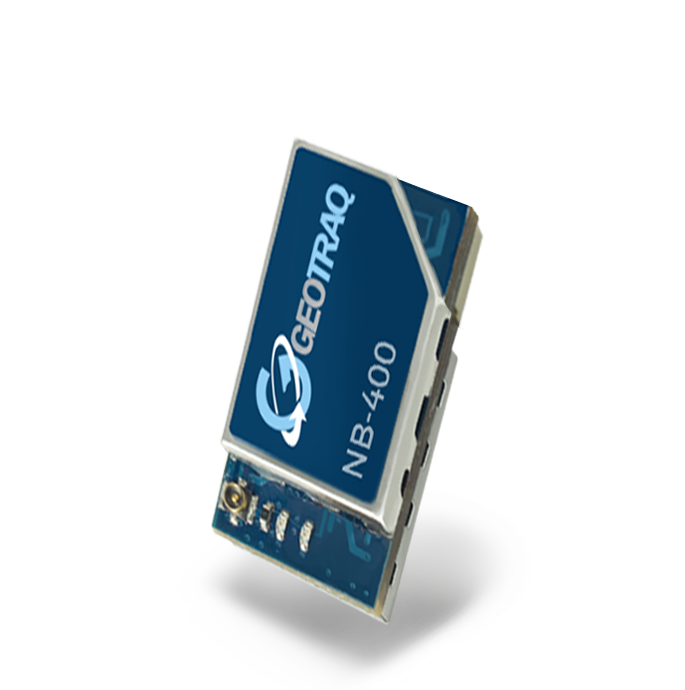 The new GeoTraq NB-400 series of IoT modules uses non-IP data delivery (NIDD), which GeoTraq believes offers the fastest, most secure, and efficient LTE connectivity, in an ultra-small form factor of 12 by 16 mm that includes connectors for sensor, battery, and antenna, resulting in the industry’s most comprehensive module for worldwide use. In addition to ultra small size, the GeoTraq NB-400 modules feature a price affordable enough to be disposable, battery optimization for 10+ years of battery life, and tier 1 global cellular coverage in 193+ countries. 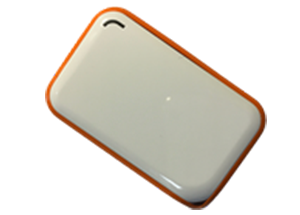 The Trackimo IoT Tracker is the world’s smallest LTE-M tracking device with a diameter of only 39 mm. 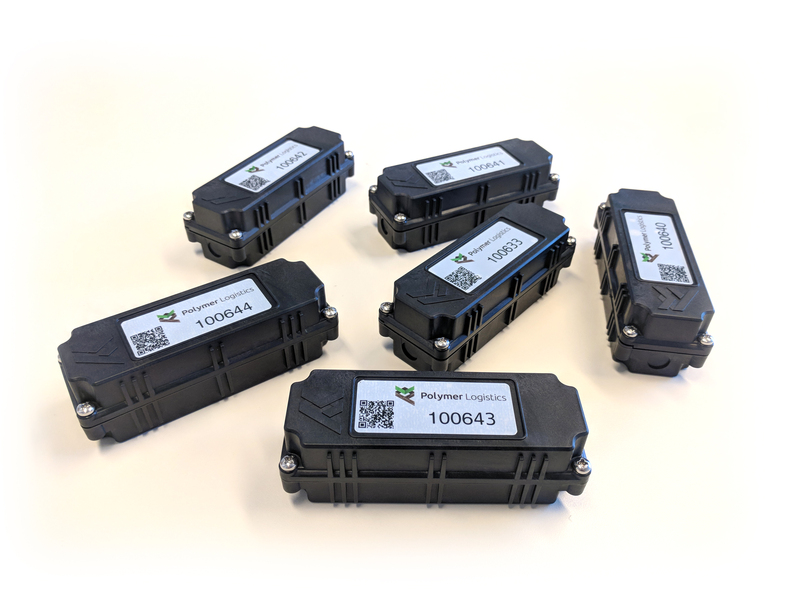 It is based on Sequans’ Monarch SiP solution, the world’s smallest and thinnest LTE-M connectivity solution from Sequans and Skyworks. 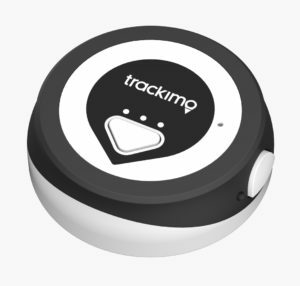 The tiny Trackimo IoT tracker can be used in places where other trackers cannot, and can be slipped into pockets or attached to pallets, containers, pets, or drones unobtrusively. A truly unique IoT tracker with endless possibilities. Orion Sync is a unique LTE-enabled push-to-talk wearable. It is a compact device, measuring only 103mm x 66mm x 27mm that clips on to a wearer’s clothing or slips into a pocket. In addition to unlimited LTE, it includes Wi-Fi, Bluetooth, and GPS radios and an integrated antenna. 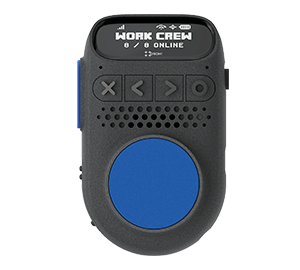 It features a prominent push-to-talk button and additional buttons for EMR and action. Orion Sync also includes headphone and USB ports, an OLED display, a speaker with mute button, and a 12-hour battery. Powered by Calliope and Monarch. The Arrow M vehicle tracking solution is designed for monitoring and tracking of trailers and containers, vehicle recovery, trailer management, lot management and other asset utilization applications. Arrow M comes with easy-to-use software for configuration and reporting. Reports can be created periodically or in response to events, such as motion, speed, harsh acceleration or braking, geo-fence violations, temperature, altitude, and much more. Powered by Monarch. 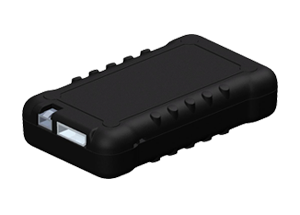 The Gemtek LTE-M IoT tracker is a compact device that can be placed into pockets, luggage, vehicles, or other assets and can monitor the location of those assets 24 hours a day. 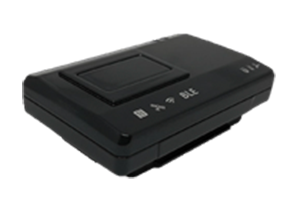 In addition to LTE-M, the tracker includes GNSS, Wi-Fi indoor positioning, and interfaces for USB charging, and one-button SOS. 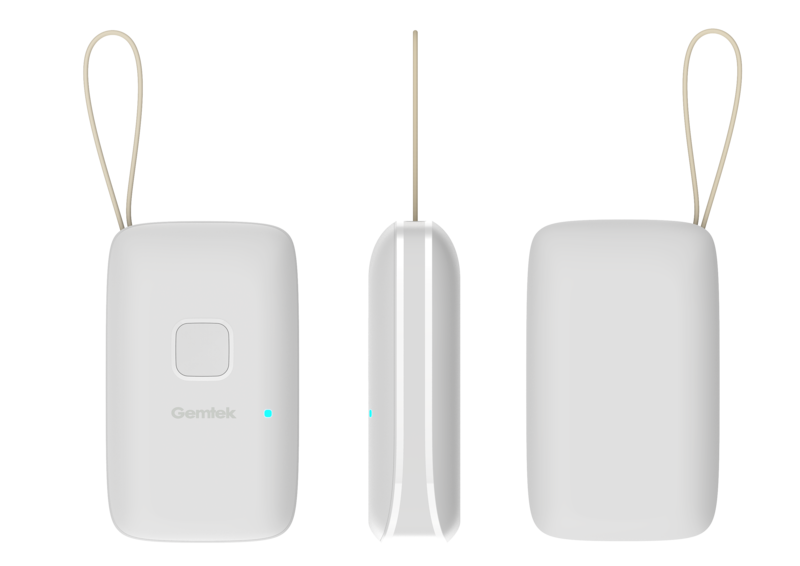 The Gemtek tracker can be used for emergency button, IoT button, vibration detection, as well as tracking of people, pets, and assets. Powered by Monarch. The Wagz Smart Collar helps dog owners understand and monitor their dogs like never before. It’s the first of its kind collar and app that tracks activity, barking, exercise, food, and location – while enabling live HD video streaming, two-way audio and invisible leashing and fencing. The collar is part of a larger connected system with a smart feeder and door that connect through one app experience. Powered by Calliope. The Sercomm LTE IoT Button is a simple yet powerful IoT solution that can be programmed to perform a variety of one-click tasks, such as mobile ordering of products or supplies, triggering of automatic alerts, or provisioning of logistical services or maintenance tasks. It connects to the cloud via the LTE Cat M1 network, which in turn sends push notifications to user mobile phones based on pre-programmed actions. The button can be programmed for one-click, two-clicks, or long-press, depending on use case or desired action. 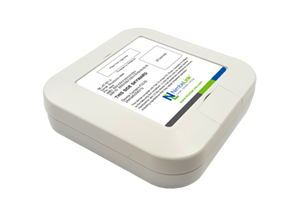 The NimbeLink LTE Cat M1 asset tracking solution is an easy to deploy, ready-to-use solution, designed to track and manage remote assets. The configurable solution will immediately provide visibility, so the user can: optimize supply chain, improve decision making, and mitigate loss of assets For OEMS that need to replace 2G or 3G units. Meet market demands for years to come with this quickly deployable, secure system. The complete system can be white labeled or you can bring your own connectivity and application. With no product development costs, you can deploy and realize revenues quickly. Wisol’s uWhere Asset Tracker is based on Sequans Monarch LTE Cat M1/NB1 Platform. uWhere is designed for tracking assets, logistics and people. It combines LTE with Bluetooth 4.2, Wi-Fi, GPS, accelerometer, NFC-A tag and a high performance ARM Cortex M4F processor in a sleek design. Unique features include wake-up interrupt to save power consumption, and the ability to save information to the NFC tag. The uWhere tracker is available as a white label reference platform as a jump-start for device makers. 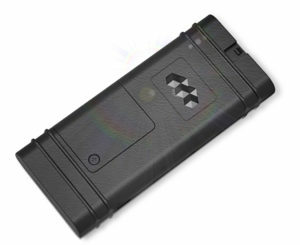 Positioning Universal’s FJ1000 Series LTE Automotive Tracker, powered by Sequans’ Calliope LTE Cat 1 platform, is a power-efficient LTE and GPS wireless modem that transmits important GPS data, such as status information, ignition events, and trip activity via the always on and everywhere available LTE nationwide network. Trip locations are provided for up to 5-second locations for precise route lines, and status information is reported for heartbeats, boot events, GPS status, acceleration-based events, and more. The tracker operates on standard automotive 12V and 24V electrical systems and includes advanced power management and an optional backup battery system that enables the device to continue active tracking for up to 36 hours, even when disconnected from power. 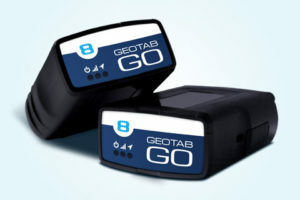 Geotab’s new GO8Ⓡ device is an open-platform telematics solution for fleet management. GO8 delivers a comprehensive set of telematics features including GPS, g-force monitoring, accurate engine diagnostics, accident detection and notification, near real-time vehicle data, fast GPS acquisition time, auto-calibrating accelerometer performance, and end-to-end security. Powered by Sequans Calliope LTE Cat 1 Platform. Sercomm SavTrack® is a compact, GPS-equipped personal tracker that can be placed easily in a bag or a pocket. Featuring LTE Cat M1 connectivity by Sequans, SavTrack® efficiently monitors the movements and locations of people, pets, vehicles, and objects 24/7. More than just tracking, SavTrack also provides enhanced human safety protection by providing an SOS button for emergencies. When the SOS button is pushed, the tracker instantly reports the user’s location so that necessary action can be taken immediately. SavTrack delivers excellent price/performance and is an ideal solution for applications including health monitoring, youth/senior safety, transportation, and pet tracking. Powered by Monarch LTE Cat M1/NB1 Platform. 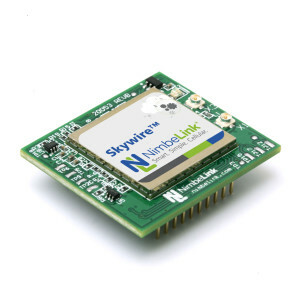 NimbeLink Skywire Cat M1 Modems specifically designed for cellular IoT and M2M applications is the industry’s first Category M1 modems for use on Verizon’s LTE Network. Based on Sequans’ Monarch LTE platform, the Cat M1 modems enable a low cost cellular solution, while taking full advantage of the capabilities of Verizon’s LTE network. Link Labs, a leading innovator in low-power, wide-area network technologies that power the Internet of Things, has developed a LTE-M1 Sensor Suite for the Verizon LTE network. Developed with Sequans’ Monarch LTE Cat M1/NB1 chip, the new LTE-M1 Sensor Suite offers an open source hardware and software platform to accelerate solution development and lower costs for manufacturers and solution providers. The Sensor Suite is a set of around a dozen highly integrated sensor and controller devices ready to implement out of the box. Encore Networks, a leading manufacturer of commercial enterprise and industrial hardened routers, partnered with Sequans to develop the first CAT M1 LTE router designed for low-cost cellular connectivity of IoT devices requiring low power consumption and utilizing low bandwidth. EN M-Class routers support Verizon’s LTE network and utilize Sequans’ Monarch LTE chip for narrowband IoT applications. The M-Class LTE routers provide customers with network longevity and more robust security, enabling a cost-effective migration path for existing IoT deployments to move from legacy 2G devices that are at the end of the serviceable lifetime. 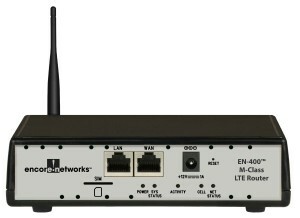 The Encore Networks EN-1000 high-performance router is the first commercial grade router developed for the newest Category 1 (CAT1) service on the Verizon Wireless LTE network. Like all LTE services, CAT1 provides a low-latency broadband connection–but capped at 10 Mbit/s download (and 5 Mbit/s upload). The lower data speed allows for simpler components – the basis for an ultra-low cost hardware design, and a less expensive LTE data plan. When paired, the “EN-1000 on CAT1″ becomes the ideal replacement for sunsetting 2G cellular data services. FiPy is the world’s first 5-network development platform for IoT. It is a hardware module that is programmable with MicroPython. 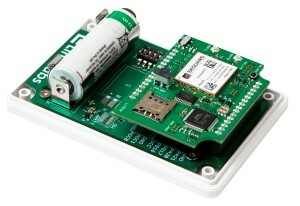 It features LTE-M powered by Sequans’ Monarch LTE Platform and four other LPWA connections: Wi-Fi, Bluetooth, LoRa, and Sigfox. 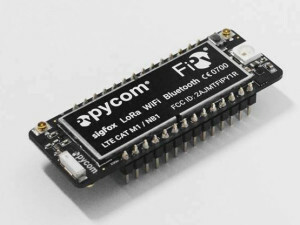 FiPy presents an open source firmware playground with lots of supporting technology such as the Pymakr IDE, the Pymate mobile app, Pysense and Pytrack application boards and a free middleware platform. FiPy is available now.